Being able to effectively scale solutions with the right balance of strength and agility, for enterprise-level organizations, mid-size businesses, and SMBs, is nothing new to Cost Management Group (CMG). Headquartered in Atlanta, GA since 1996, with additional offices in Virginia, North Carolina, Costa Rica and the Netherlands, CMG specializes in driving down the operating costs of its client companies by applying proprietary methods and tools, or those of its carefully chosen partners who possess a particular and uncommon expertise. CMG, as a leader in the industry, is committed to its vision, believes in its mission, and is driven by a set of core values. When searching for a partner to assist in telling the CMG story, it was important to find an organization that shared a common set of core values and focus on quality, extraordinary attention to service and innovative solutions. Junction Creative Solutions (Junction) worked with the team at CMG to redesign its online experience that includes a wealth of content to engage prospective clients and partners. 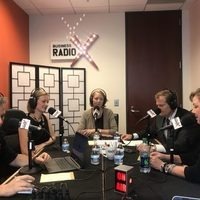 Julie Cropp Gareleck, CEO and Managing Partner, Junction Creative, participated in Atlanta Business X’s Radio Show “Tuesdays with Corey.” Gareleck shared insights from her days as a waitress in Gettysburg, PA to her current position as the CEO of her Atlanta based firm. Corey Rieck, President and Founder of The Long Term Care Planning Group, sponsors the show each month, highlighting women entrepreneurs, CEOs, and executives. When asked about her experience growing up in a family business, Gareleck shared that her goal was to become a reporter like Barbara Walters. Unbeknownst to her, the passion she held for people and helping people drove her to launch Junction Creative, a hybrid between a traditional consulting firm and an advertising agency, melding intellectual insights with creative execution. To listen to her journey, forward to 30 minutes into the full interview. Corey Rieck is the President and Founder of The Long Term Care Planning Group, a firm that specializes in delivering Long Term Care education and coverage to companies, high net worth individuals and large organizations. Since 2001, Corey has devoted his career to Long Term Care as a result of multiple personal experiences. A neutral provider of Long Term Care Solutions since 2001, Corey brings a unique and comprehensive consultative perspective to this issue. Since 2003, part of his commitment to the Long Term Care Industry includes his having trained over 3,500 advisors from San Francisco to Wall Street on how to properly position Long Term Care to clients through the CLTC organization. Corey hosts a weekly show call “Tuesdays with Corey” on Atlanta Business Radio. Barb Giamanco heads up Social Centered Selling. She’s the co-author of The New Handshake: Sales Meets Social Media and authored the Harvard Business Review article Tweet Me, Friend Me, Make Me Buy. With a successful C-level background in Sales, Technology and Leadership Development, Barb capped her corporate career at Microsoft, where she led sales teams and coached executives. Through the years she has sold $1B in sales. Barb is consistently recognized as a Top Sales and Business Blogger, a Top 25 Influential Leader in Sales, a Top 25 Sales Influencer on Twitter and one of Top Sales World’s Top 50 Sales and Marketing Influencers for the 3rd year in a row. And recently, Barb was named one of the Top 65 Business Influencers among other leaders such as Ariana Huffington, Melinda Gates and Sheryl Sandberg. Connect with Barb on LinkedIn, Twitter and Facebook. Barbara LoRusso is the Director of Client Development for LoRusso Law Firm, an Atlanta-based civil litigation firm opened by her husband, Lance LoRusso, almost 10 years ago. Prior to this, Barbara was doing consulting and research work for a non-profit trade association here in Atlanta for almost 20 years. She has a Ph.D. in Applied Psychology from University of Georgia and went to Emory as an undergraduate. Barbara has been an active volunteer with charitable organizations and currently serves on the board of SafePath Children’s Advocacy Center in Marietta. Born into an entrepreneurial family, Julie Gareleck was convinced that business was not her passion and that becoming a reporter was more intriguing. At the age of 21, Julie punched her international card, in Paris, working for Angela de Bona, the top PR Agent, representing the top fashion photographers in the world. A venture to Philadelphia after Paris directed Julie to work for a leading entrepreneurship institute. In a few short years, she was recruited to join a venture capital organization, focused on early stage companies in Technology, Biotechnology, among other industries, as its Executive Director. Julie earned her place in the Board Room at the age of 25. A transition to Atlanta over 12 years ago enabled Julie to take her strategy experience and work as a senior strategist for interactive advertising agencies. It was here that Julie realized there was a gap between business-based strategy and what was defined as strategy at agencies. Junction Creative Solutions was born out of the need for strategies that intersect key business segments and the need for a firm that can manage the implementation. For over 8 years, Junction has worked with nearly 225 companies, helping do just that. Follow Junction Creative on LinkedIn, Twitter and Facebook. What Does It Take to Build a Successful SaaS Business? According to Gartner, Inc. the worldwide cloud services market will total more than $246.8 billion by the end of 2017, an impressive 18 percent growth over the previous year. Software as a service (SaaS) is defined as a subscription software licensing delivery model which is centrally hosted and accessed in the virtual cloud by subscribers over a web browser. 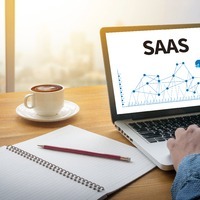 SaaS has become a common delivery model for many business operations applications that were once purchased and maintained by an organizations internal IT department. Today, SaaS has been incorporated into the strategy of nearly all leading enterprise software companies and has a significant profit potential for cloud providers. For software consumers, SaaS may offer a high value alternative to infrastructure systems. The growth in the SaaS business model has new providers eager to enter the marketplace. Before entering the market eager entrants need to be aware of some of the challenges to successfully launching a SaaS portfolio including sales techniques, financial issues, technical considerations, cyber security and customer expectations. And while SaaS can benefit enterprise users by freeing up resources currently dedicated to in house IT systems, the transition to the cloud may cause serious integration issues. Just like all new ventures success often depends more on the preparation phase rather than the launch. Formulating the right idea to fill a real need is critical. Whether starting anew, forming a “White Label Partnership”, joining in an existing franchise or investing in an up and coming SaaS organization attracting the right technical talent and qualified management partners is critical. For even the best prepared and most talented managers, starting a new SaaS business is no easy endeavor. As with any new business, personal intuition and great plans may look good on paper but more often than not can be out of sync with what the customer has in mind. Keeping the initial offerings targeted to providing simple solutions and unencumbered with unnecessary bells and whistles will enable new clients to understand the benefits of the service and implement the transition successfully. Focusing on serving initial customers with exceptional service will build a foundation for future success and growth. For more information on what it takes to build a successful SaaS business model, click. http://junction-creative.com/wp-content/uploads/2017/10/logo_header.png 0 0 mark http://junction-creative.com/wp-content/uploads/2017/10/logo_header.png mark2017-11-09 09:30:322018-05-16 22:24:47What Does It Take to Build a Successful SaaS Business?